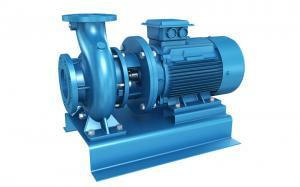 Pump is a very important auxiliary equipment for a power plant. It has a wide application in all parts of the power plant. Feed pump, circulating water pump, condensate pump, ash pump, oil pump, etc., these auxiliary engine running state not only affects the safety of power plant, but also plays an important role in the economy of power plants and energy conservation! 3）The operation of jet pump etc. There are horizontal centrifugal electric hydro pump, vertical deep well pumps and submersible pumps for water supply and drainage systems. 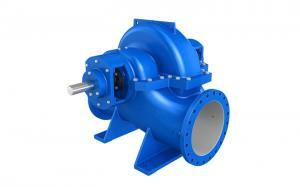 Centrifugal pumps are suitable for all types of power stations. However, due to its suction height restriction and low installation position, it is necessary to consider the problem of dampness and flooding. The deep well pump not only performs well in seepage drainage but also widely used for the maintenance of drainage. 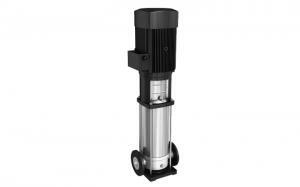 The submersible pump is efficient and flexible, but the cost is high and the seal is strict. With the development of modern electric power, the power generation of the power system is increasing. But the peak-valley of the power grid is getting bigger and bigger, and these giant thermoelectric units are poorly regulated. So the pumped storage power station came into being. A reversible pump water turbine will combine a pump and a water turbine. The main structure of the centrifugal water plant pump impeller is designed to be a rotating wheel, which can be used to improve the flow of the activity guide leaves. The motor can run in two ways: as an electric motor, driving the pump; Or rotating in the opposite direction, driven by a hydraulic turbine as a generator. The advantage is that the unit size is small, equipment investment is low. 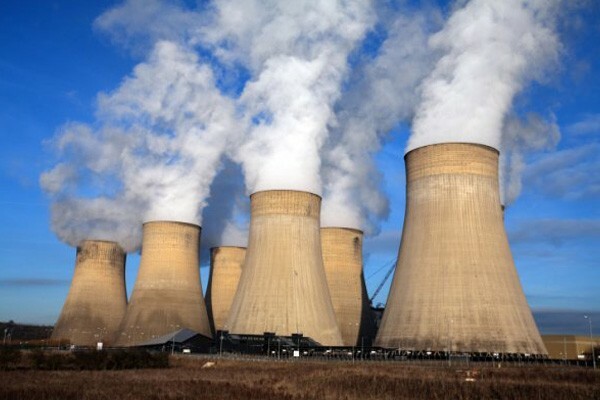 Coal-fired power stations are factories that convert heat energy from coal, oil, natural gas or other fossil fuels into electricity. Power generation is a more important form of power generation, which accounts for about 70% of China's electricity generation. The cooling water pump in thermal power plant applied in the power plant has the condensate pump, the booster pump, the pump, the drain pump, the supply pump, the raw water pump, the ash pump and the ash pump, etc. The manufacturing techniques of these pumps are complicated. The boiler feed water pump is the equipment which is used to feed water from the oxygen tank and high pressure to the boiler. It is an important support pump for the power plant. If an accident occurs to the pump, it will cause the boiler to burn dry and other serious accidents. So its reliability is higher. The outlet pressure of the pump is very high, so multi-stage centrifugal pump is used. 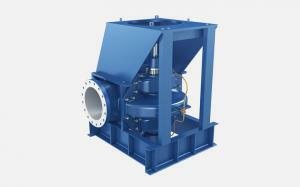 The overall structure of the pump is usually segmented with a flow of up to 274m/h. The liquid temperature can reach 160c, and the pump body is under pressure of 12Mpa with a speed of 3600r/min. Modern large ultra-high pressure units often use round simple double shell. The condensate pump is used to extract the condensate from 25~35c in the coagulator and is sent to the deaerator via the low pressure heater. Working conditions are bad, so we have to keep the pumps completely sealed. The pump entrance is in a vacuum state, which can easily lead to water gasification. So its anti-cavitation performance is higher. So pump speed is not very high. It is also necessary to add induction wheel or double suction head impeller before the entrance. Vertical envy water circulation centrifugal pump, the general lift up to 8om, flow can reach 2000m/H, liquid temperature can reach 345C, pump body pressure is 16Mpa, rotate speed is 3600R/min. It can be used for large boiler forced circulation boiler. 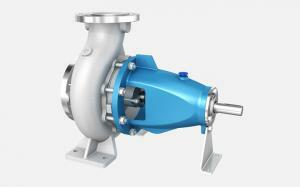 In order to prevent the cavitation of the boiler feed pump, a booster pump is installed in front of the feed pump. Its general lift up to 400m, flow can reach 6120m/h, liquid temperature can reach 220c, pump body pressure is 5Mpa, rotate speed is 1800r/min. Steam condensers, coolers and generator coolers rely on circulating water pumps to supply cooling water. 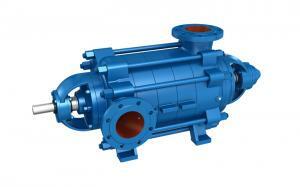 The working characteristic of circulating pump is low head and large flow. Therefore, the single-stage double suction shaft centrifugal pump is adopted in the small and medium-sized units, which can reach up to 10000m/h, and the liquid temperature can reach 160C. A nuclear power plant is a power plant that USES the heat generated from nuclear fuel fission in one or several reactors. Nuclear power plant is a kind of peaceful means of utilization of nuclear energy, and it is also an ideal form of power generation. Investment in nuclear power plants is more than twice as high compared to conventional thermal power stations. But running costs are about a fifth or less. According to the international atomic energy agency, nuclear power plants will generate 20% of the world's electricity generation by 2000. China has built QinShan nuclear power plant and Daya Bay nuclear power plant, both of which are pressurized water reactors. QinShan nuclear power plant is the first nuclear power plant developed and designed by our country.The safety injection system is designed to ensure the cooling of the core and prevent the melting of the fuel cladding when the main pipeline of the coolant is not likely to break. The main function of the shutdown cooling system is to remove the wail from the core after the shutdown. When the small and medium grade water loss accident is the safety injection system work; . When water loss is serious, the shutdown cooling system also starts. Specifically, a safe injection is issued after the reactor has been shut down.The high-pressure ampere pump of the safe injection system starts quickly, and absorbs water from the high-level refueling tank (containing boric acid), injecting the core into the heat. If necessary, the system's backup system, the safe spray pump in the containment spray system, also begins to perform the spray cooling of the containment vessel. The residual heat export pump of the shutdown cooling system also receives the load if the high pressure ampere system is still unable to maintain the pressure. When the water level of the refueling tank is reduced to low level, it is changed to form a recirculation state from the water pit of the safe casing. The centrifugal pump in the chemical and volume control system can also be used as a high-pressure pump.